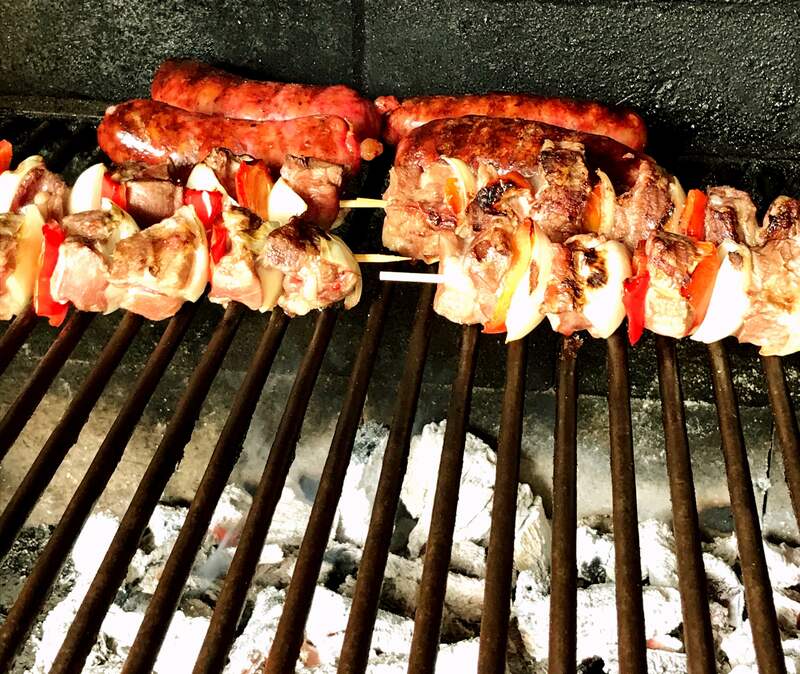 Argentine asado what you should know about it and why people go crazy about it. 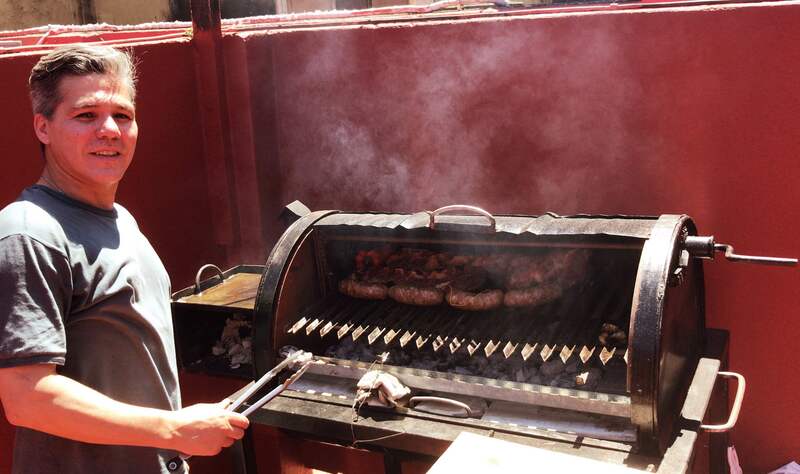 Argentine asado what you should know about it and why people go crazy about it. 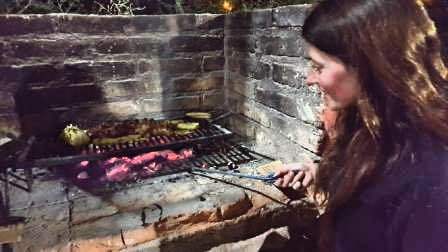 I bet that after reading this article, you will be wishing to be in Argentina having a traditional ASADO. Our asado has the same cultural and social rol in our society as el mate. Asado exists to be enjoyed with family and friends. El asado argentino comes originally from life in the open lands of the Pampas, the gauchos and cattle roaming freely. Asado (BBQ) is our national dish. Historians say that in colonial times, the gauchos captured the cows that were roaming freely in the pampas, they slaughtered and cut them right there and then, and set the fire in the open fields and cooked them. There are accounts of foreigners being very impressed at how quickly gauchos used to do this. The grill of those past times were not horizontal, but a few sticks grounded around the fire, just leaning a bit over the fire. You can see this technique nowadays in certain places and for certain meat cuts. 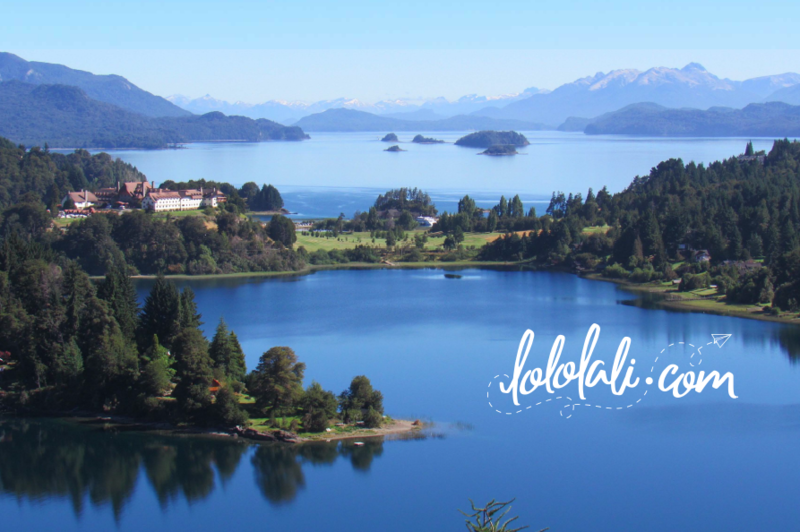 Probably, los asados are so popular in Argentina because there still a lot of cattle roaming our beautiful land, and so, tradition lives on. 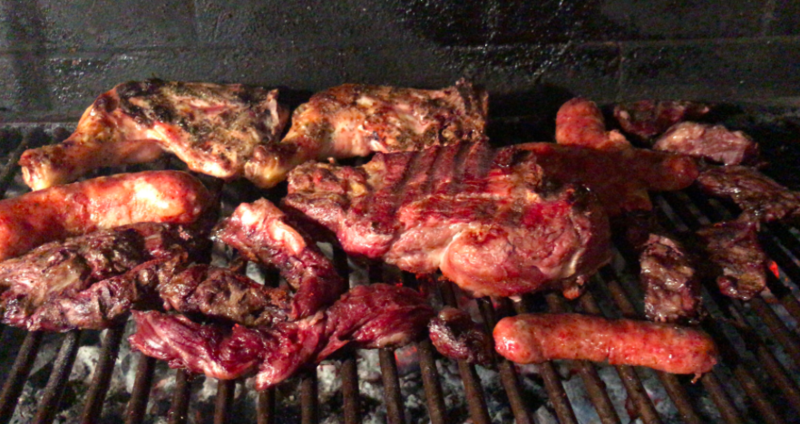 WARNING: Never, ever, compare an Argentine asado with any asado from other countries, and much less to a BBQ. You could make enemies that way very quickly here! 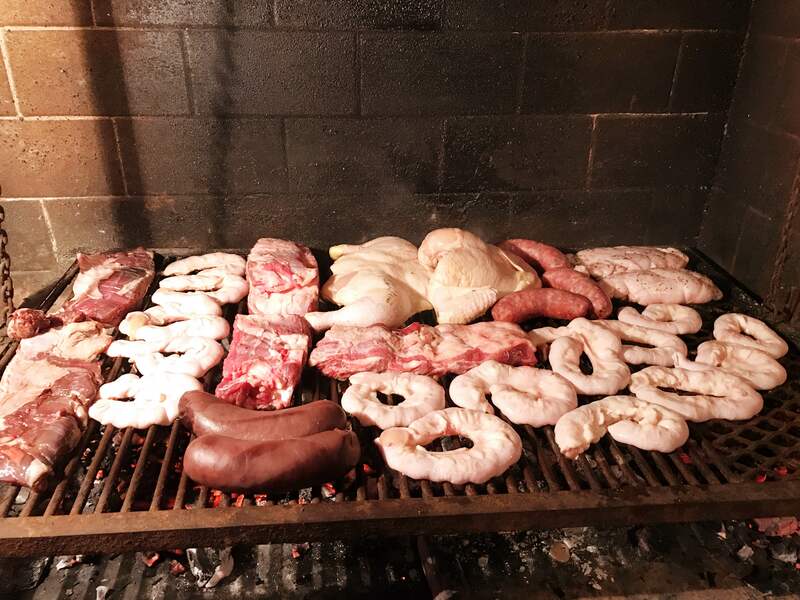 The asado is a constituent part of the national being of an Argentine. For us it is our most typical meal, it is a social act, it is to get together with friends, it is to show the skills of the asador, it is a sign of affection… we show our love by making the best asados to those that cometo our table. Marcelo, Lolo´s partner, making an asado in the terraza of the apartment. While there is a saying that says… every animal that walks by, may end up at the grill, there are some cuts that stand out. Remember that the way a cow is segmented is different in Argentina than in other parts of the world. The most popular cuts for the grill are: costillar, vacío, asado de tira, matambre, entraña, tapa de asado, colita de cuadril, bife de chorizo ​​y lomo. No less important in the ritual of making an asado is to light the fire and keep it alive for as long as necessary. 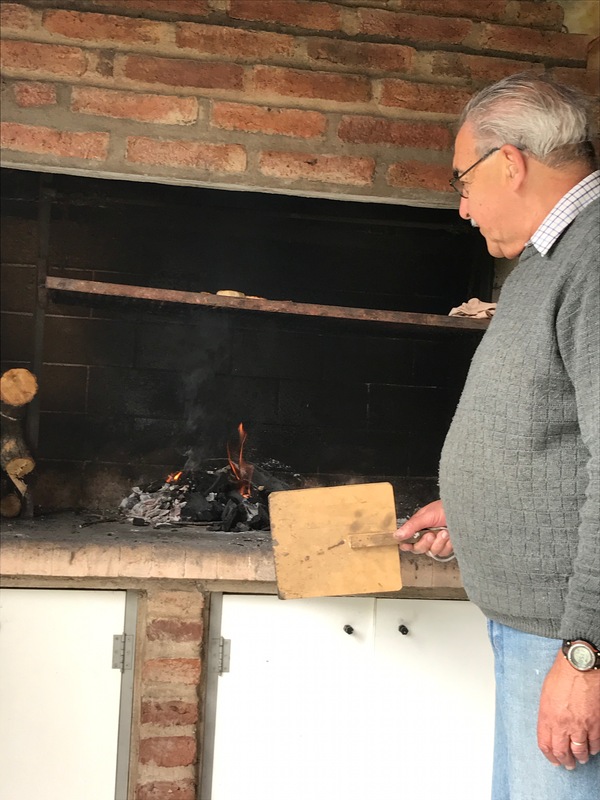 A fire that goes off or does not maintain the proper temperature will not only ruin the asado, but it will spoil the beautiful gathering with our guests. Yes, that’s how serious the fire is! Lolo´s dad getting the fire going. When starting the fire, the embers should be red hot, with the wood creaking and some small flame sticking out. Little by little and evenly, all the coals go gray. Avoid coal staying black (not burning) during the cooking of the meat, because it can be toxic. 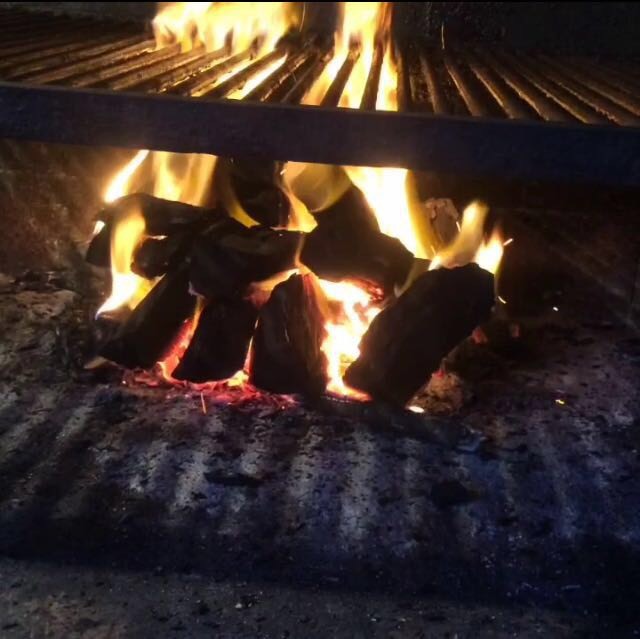 A pile of burning coals should be left on the side, which will be used to keep adding them to the embers under the asado, so we can keep the right temperature. At what temperature it should be or how much cooking time our asado will need, it will depend on the cuts we put on the parrilla (asado). 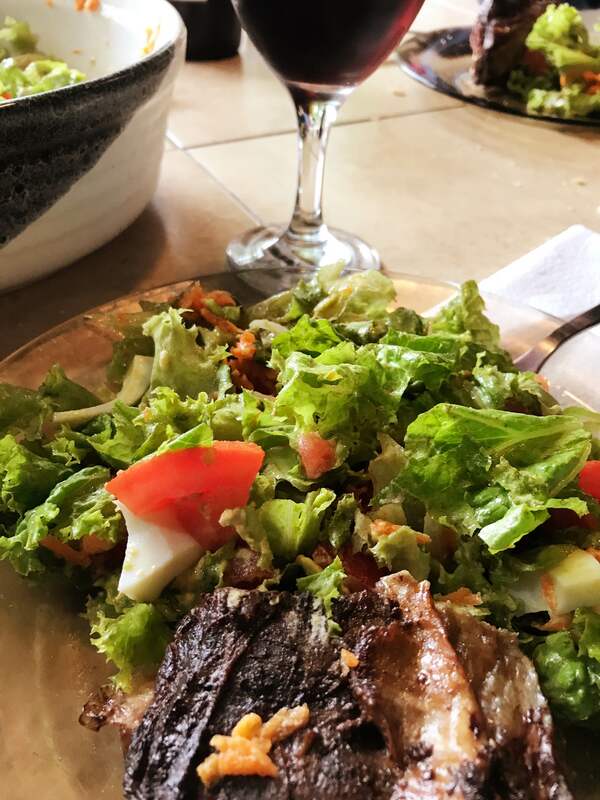 You should have some green salads to go with the asado. 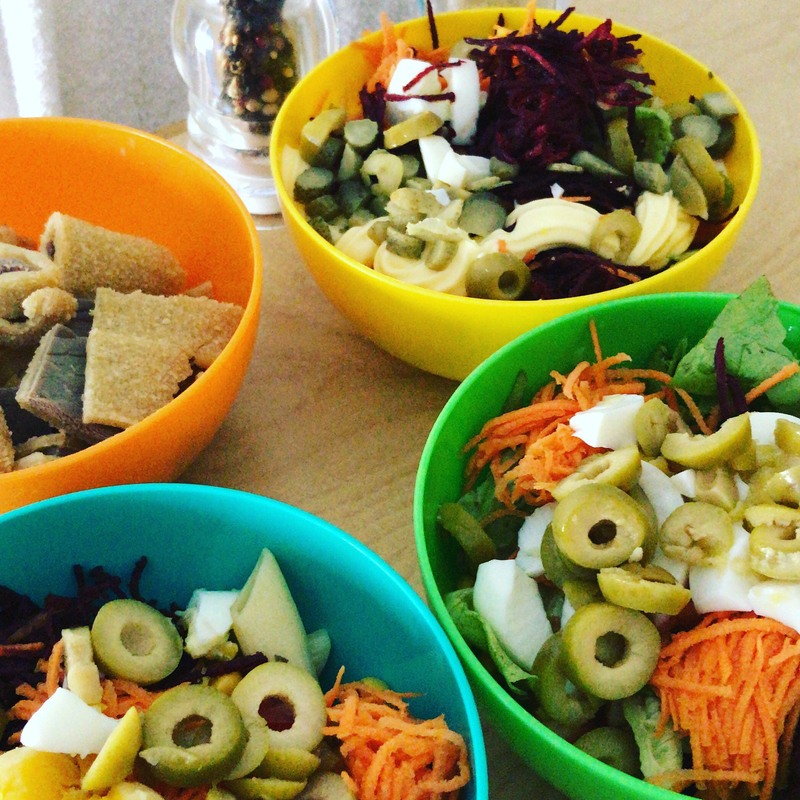 You can also have potato salads or roasted veggies. Some prefer some french fries, but mostly when asking for an asado in a restaurant. If you want to have an asado in a restaurant, they are called parrilladas. And you must have some chimichurri sauce to spread over the meat. This is an absolute must! to go with your meal. 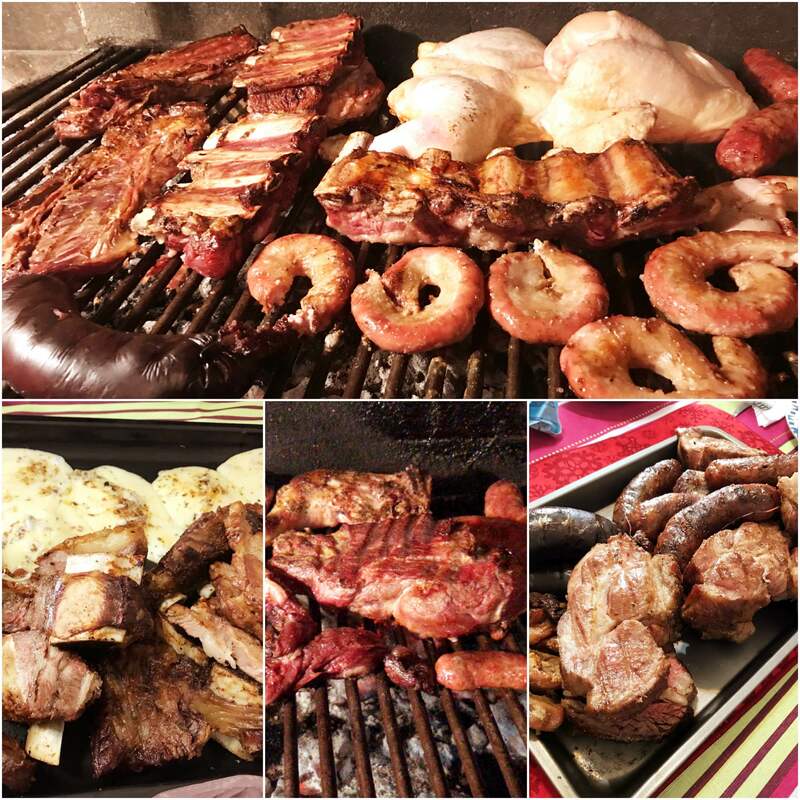 ¡Come to Argentina and enjoy a delicious asado!